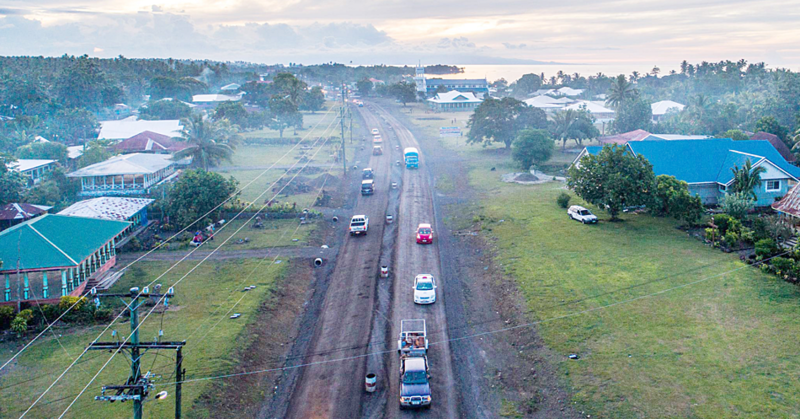 Protecting and reclaiming customary land was at the heart of a peaceful protest march yesterday by members and supporters of the Samoa Solidarity International Group. A small crowd of people, number just over 100, gathered in Apia early yesterday morning to protest and call for the repealing of the Land Titles Registration Act 2008 and mark Black Saturday. The Samoa Observer spoke some of the supporters and sympathizers, a number of them carrying placards and posters. A woman, Vasati Valai, said she left her home early yesterday morning to participate in the match. “I believe God knows why I woke up early for this march. I believe it’s a purpose for me and my family so that we are encouraged to hold tightly to our land and properties for the future of our families." 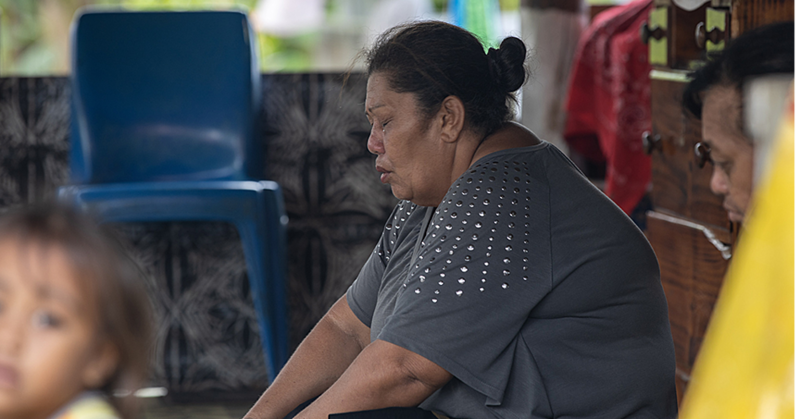 She also made reference to the Ti’avea land—where the Government plans to build an airport—and said her brother’s family still lives there, putting them on a collusion course with the Government. Jamalieh Esera, who said she is speaking on behalf of youth, was critical of the Government’s decision to pass the legislation in 2008. “We are the youths in Samoa who will suffer in the future, for we will be the ones paying for all these loans. The question is? Where can we get all this money from? How are we going to paying for all the loans? And what ways are the government trying to address the act of repaying all the loans?" “It’s hard to ignore the fact that the government itself is trying to use our customary land for the repayments of all these loans." 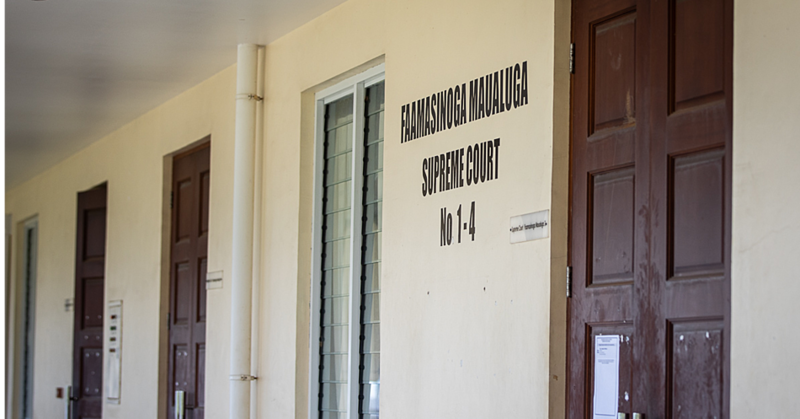 Ms. Esera appealed to Samoa’s youth population to condemn the law and to be aware of the impact, claiming the Government will use it to forcefully take land. 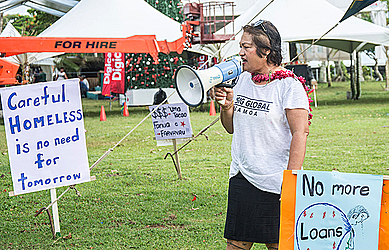 U.S. resident Agaiva Leiataua Fepuleai and Australian-based Lasela Lalotoa—who joined the peaceful protest march yesterday— expressed disappointment at the low turnout, but said they will push on and support the cause. According to Agaiva Leiataua Fepulai, participating in the SSIG peace match is as important to her as she travelled all the way not just to visit but also to be part of the event. “I live in the states for so many years and I always think about Samoa because I was born and raised her and I love my country. I’m just so grateful to be here for my people and for my family and children." “And to all the people that do not understand what is going on today, I really want them to support this as we will not know what tomorrow will bring. I respect the Prime Minister and the Government as they are the leaders of the country but I also respect my people and that is why I made an effort to be here. Speaking to the Observer, Lasela Lalotoa said she was happy to be in Samoa to witness the SSIG peaceful match.